George Michael’s personal art collection – which includes works by Tracey Emin and Damien Hirst – will be sold at auction by Christie’s. The late music star collected more than 200 works of art, and the auction house has estimated that prices will range from £400 to £1.5 million. Some pieces will be available online, with bidding open from March 8 until March 15 and the flagship auction will take place on March 14. Proceeds from the sale will be used to continue the singer’s philanthropic work. Michael, who died on Christmas Day in 2016 at the age of 53, built his collection through visits to galleries and artists’ studios. He also developed friendships with members of the Young British Artists (YBA) movement, including Emin, Hirst, Sarah Lucas, Michael Craig-Martin and Marc Quinn. Among the artworks up for auction are Emin’s Drunk To The Bottom Of Ny Soul (2002), Hirst’s The Incomplete Truth (2006) and Craig-Martin’s Commissioned Portrait Untitled (2007), which is a painting of Michael. 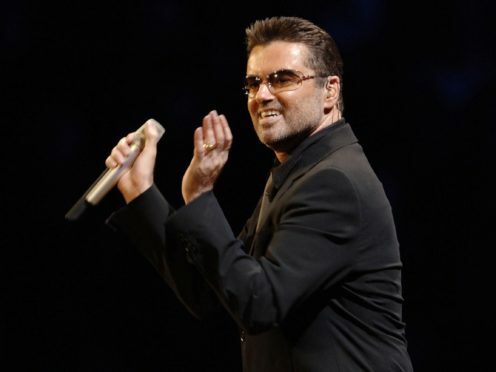 Jussi Pylkkanen, global president of Christie’s, said: “We are delighted to be organising this major auction of The Collection of George Michael to allow his philanthropic work to continue. Cristian Albu, co-head of Post-War and Contemporary at Christie’s, said that Michael’s collection “is a celebration of the YBA movement’s spirit of creativity and adventure in the late 1990s”. George Michael’s trustees added: “The Art Collection of George Michael reflects the friendships built between one of the UK’s most acclaimed musical artists and the visual artists who were creating artworks at a seminal moment in British cultural history. Additional key works from The George Michael Collection will be revealed during the global tour, which starts in New York from February 8 – 11. The tour will continue to Los Angeles, Hong Kong and Shanghai before concluding in London at Christie’s headquarters.